A day to celebrate an ingredient that we all take for granted — vinegar! 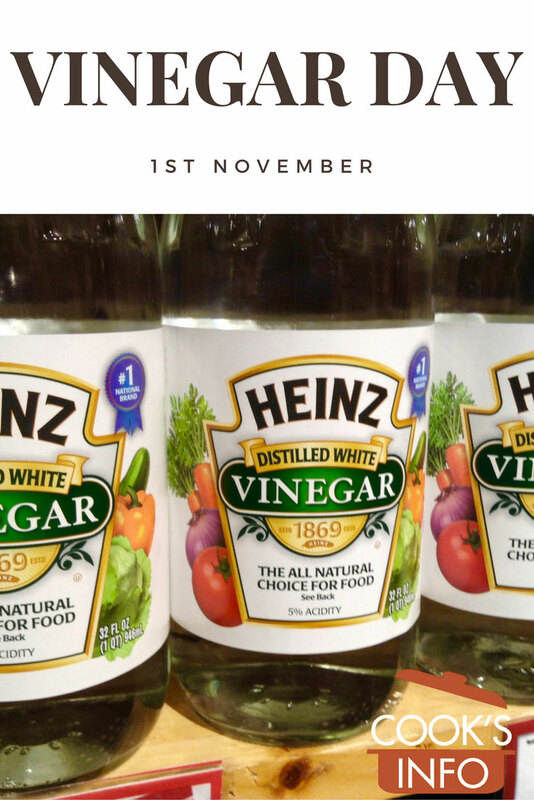 The 1st of November appears to have the most recognition and backing as being Vinegar Day, though there are renegade groups backing the 16th and 20th of August. In late June, the town of Spilamberto, (near Modena, Emilia-Romagna) in Italy, holds a Balsamic Vinegar Day to promote the locally made balsamic vinegar as part of its St John the Baptist celebrations. 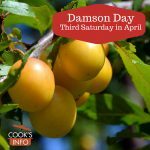 On Vinegar Day, you can hold a vinegar tasting, or make a vinegar pie, or put vinegar on your chips (French fries.) Countries in which vinegar on French fries is considered a given include England, Scotland, Wales, Ireland, Australia, New Zealand and Canada. An old British fable, “The Old Woman Who Lived in a Vinegar Bottle”, tells the story of a woman who lived in a vinegar bottle who wished for and who was granted a better and better house to live in, but got no happier. When you are using vinegar for home pickling for shelf-stable storage, be sure that the vinegar strength is 5 % or higher, and in general, that the vinegar / water ratio of the brine never has less than 50% vinegar in it unless you are using a modern recipe from a reputable source that has been lab-tested to be safe with a lower amount of vinegar.